The original official seal of the Municipality of Claveria, Cagayan was modified/revised because of social, economic and political development of the municipality such as the shifting of major source of livelihood and income from logging/wood industry to farming and fishing, the increase in the number of barangays from 29 to 41, and other significant events and developments. The Claveria seal was designed in conformity with basic heraldic rules as provided for in Republic Act No.8491, known as the Flag and Heraldic Code of the Philippines and DILG Memorandum Circular 92-30. It was conceptualized based on the original seal of, the history of the municipality, the Ilocano values as well as the vision and mission of the LGU. It was then designed using IT software such as Microsoft Publisher and Adobe by by Mr. Jad Ordonio and Mr. Eisen S. Tumamao, IT students from Santiago City On-the-Job Trainees and Engr. Corazon V. Estorquia of the Office of the Municipal Assessor. 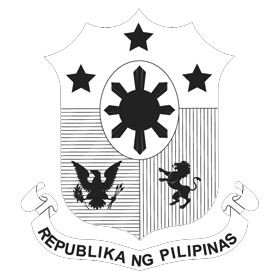 The draft seal, together with the description was then submitted to the Office of the Sangguniang Bayan in 2012 for its adoption. After some enhancement on the design, the Sangguniang Bayan through SB Member Peter Agbayani adopted SB resolution No.070-2014, endorsing the draft Claveria Seal to the National Historical Commission of the Philippines for evaluation, approval and recording. The new corporate seal was finally adopted and was launched on May 7, 2015, during the 2015 Labig “Palmabrava Festival. The seal signifies the fundamental essentials of the vision, mission and goals of Claveria. The circle symbolizes unity-the LGU continuing efforts in sustaining unity and oneness attaining its vision. The 41 stars stand for the 41 barangays that serve as LGU inspirations and partners in development. Inside the circle are the major sources of marine products (fishes and other biodiverse) – the sea (Claveria Bay); the major source of agricultural products (palay and coconut)- plains; and forest products (palmabrava) – mountains. It signifies then the two major occupations in Claveria: farming and fishing. The sun symbolizes bright future, giving always hope and opportunities for a more prosperous Claveria. Indeed, gifted with such resources, Claveria is a potential eco-tourism destination for both local and international tourists. It should be noted that the number 1865 is the year when Claveria was created and established.